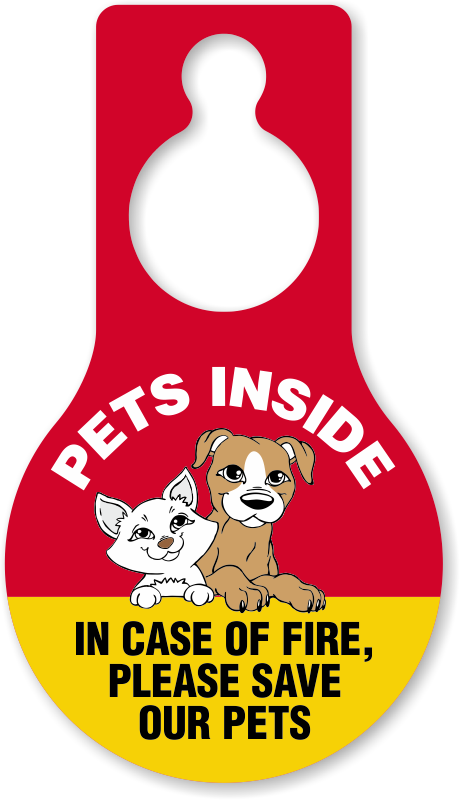 Don't leave a doubt in any one's minds that your beloved pet is inside your house. 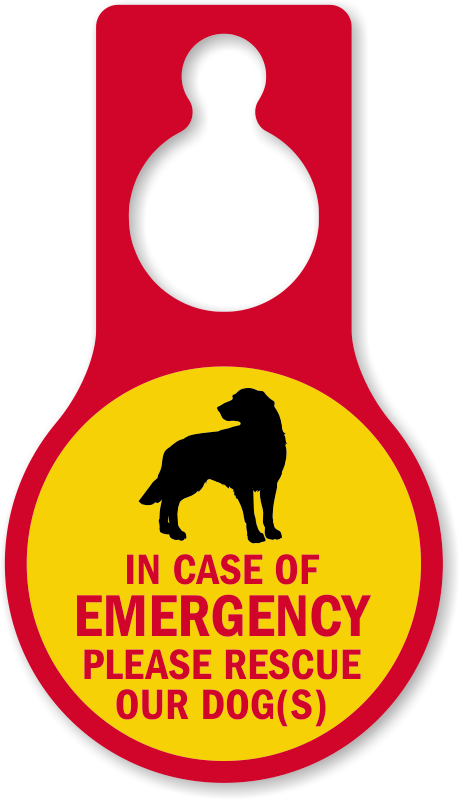 When there is an emergency, time is of the essence and your pet could be in danger. 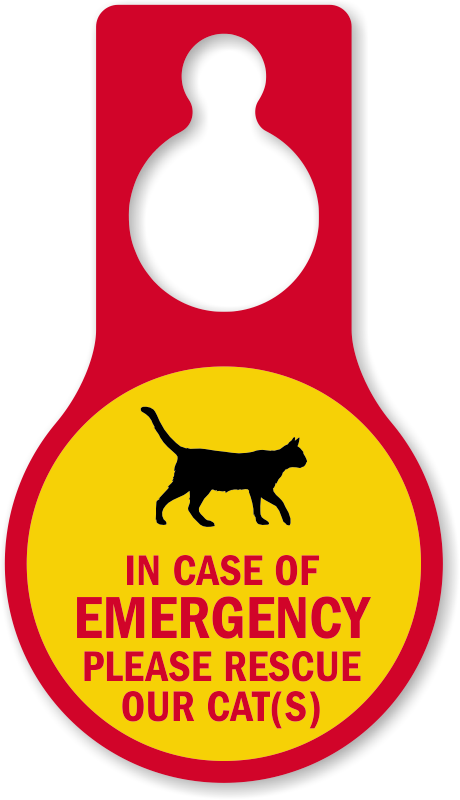 Ensure that your pet is taken care of and that emergency personnel know to look out for and protect your cat or dog. 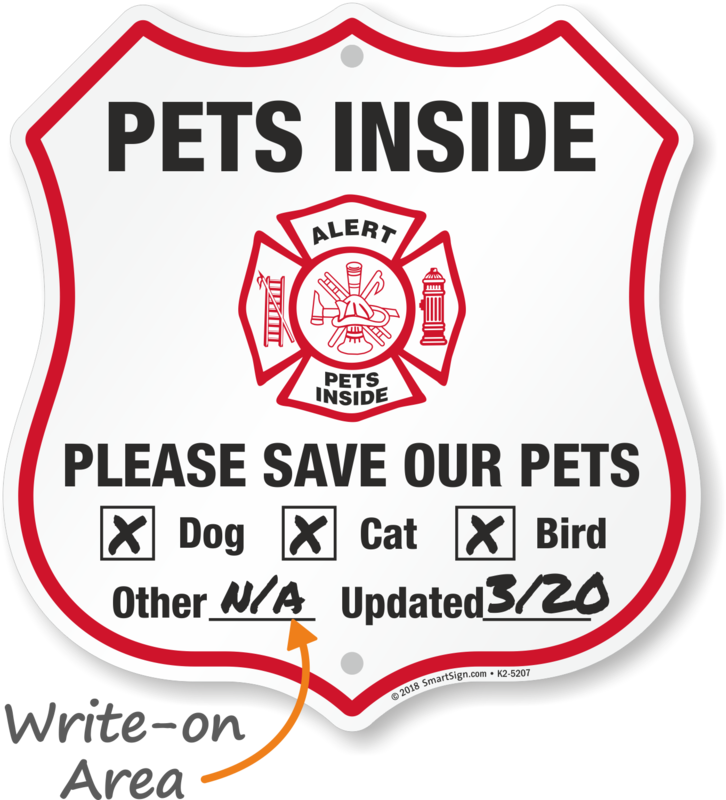 Pet Inside Stickers or Pet Inside Signs specify which pet or pets are in your house, so they know who to rescue. 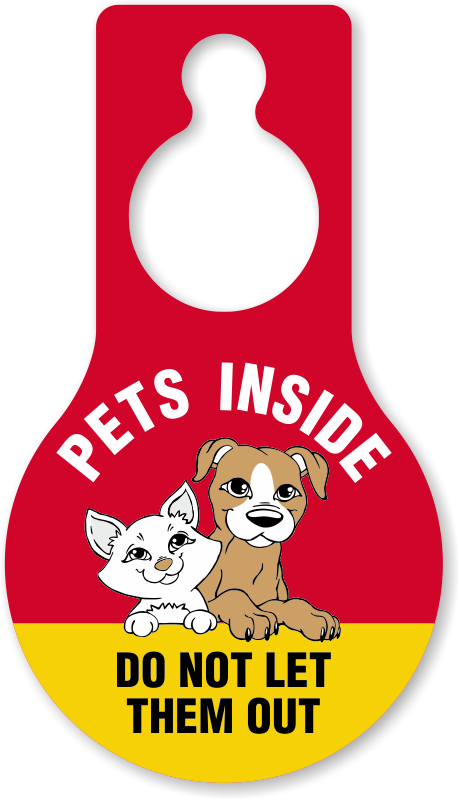 • Pet Inside Stickers come in both cat and dog varieties. Have both? 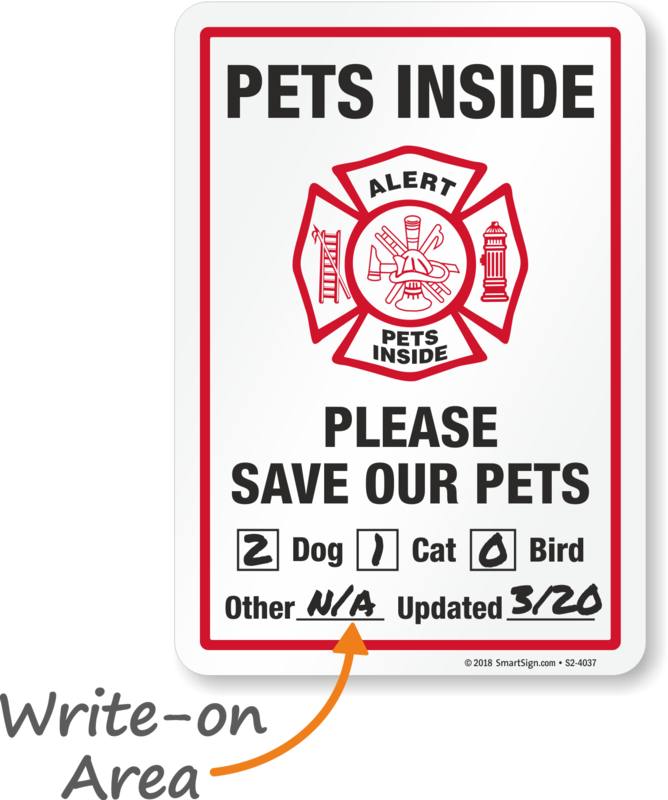 Try our Pet Rescue Stickers. 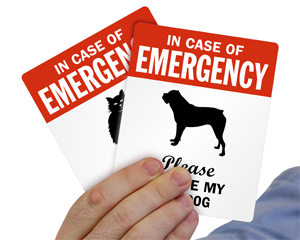 • Stickers stick on easily and are moveable at first. 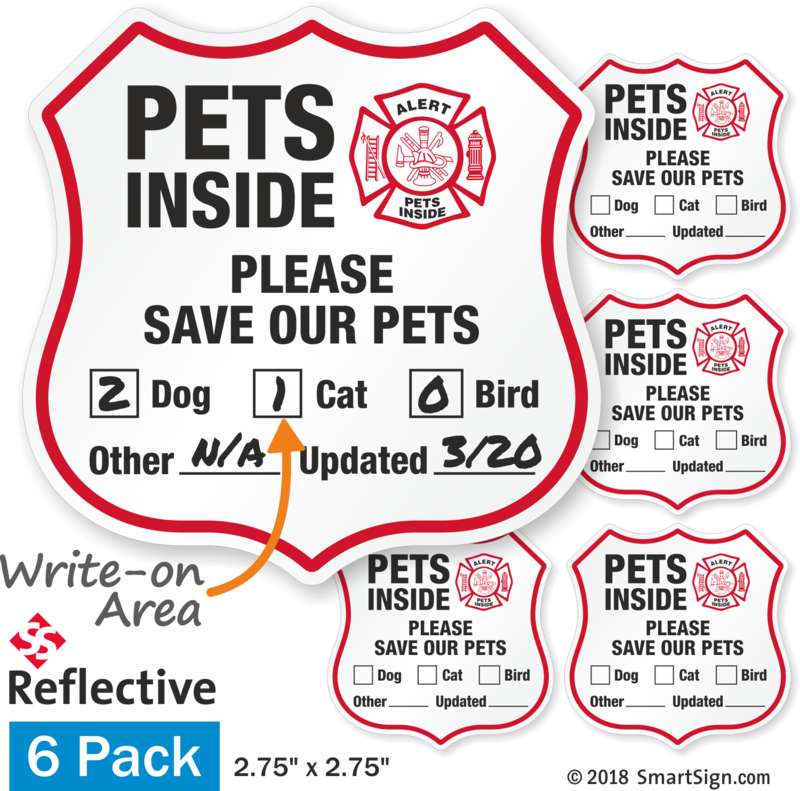 But once they set, stickers are durable and will stay stuck on in place. 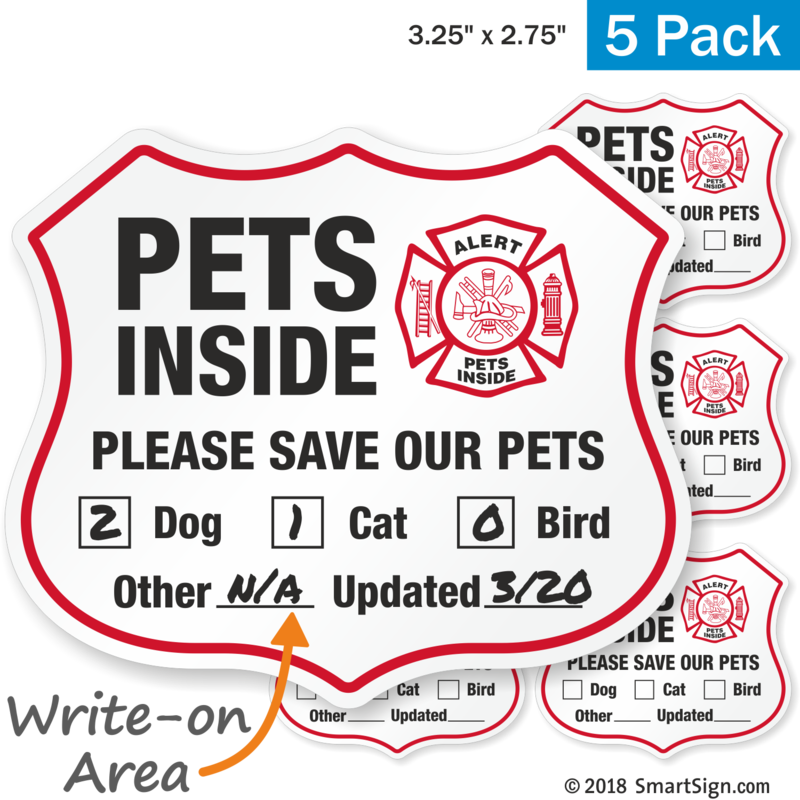 • Scroll over stickers for more material and pricing details. Stickers bold colors make stickers noticeable by day, while reflective material ensures they can be seen at night. Good quality - exactly what I was looking for. Put it on the doors today. Look so much better than the ones I had before. 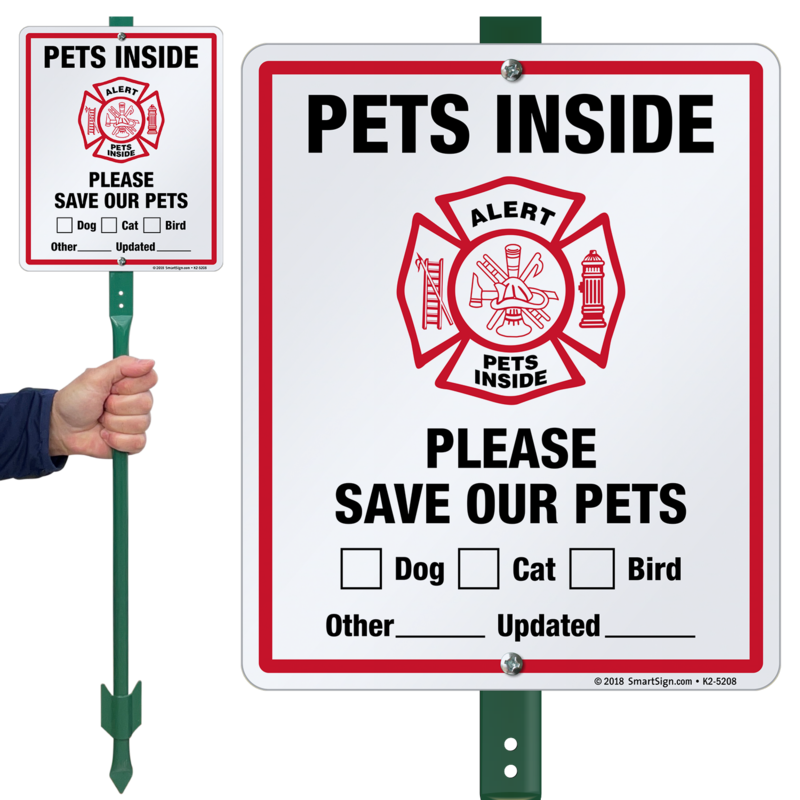 Hopefully will not need them, but if there is a fire, these are visible and easy to read. Perfect Product, Just what I wanted. I got these for our grand kitty and also going to give some to our neighbors.